Here are the Top 9 Non-Hotel Venues in the DFW Metroplex we believe will make your Indian wedding special. Couples choose these types of venues because they don't like hotel weddings and want to avoid random hotel guests crashing their wedding. Therefore having this kind of venue makes the wedding a more attractable scene. As a matter of fact, we began working on this blog series to help connect couples with their dream venues. Our list of Top 9 DFW Indian Wedding Venues benefits each couple that wants an amazing wedding weekend. When coming up with this list we thought about each event that is part of many Indian Weddings (Hindu, Muslim, Christian and Sikh). Pre-wedding celebrations such as the Garba, Sangeet, and Mehndi nights can be held in the smaller ballrooms and the larger ballrooms are spacious enough for the traditional Indian wedding. Each of these venues even has a clear outdoor path for all of your guests to enjoy a baraat so they can dance their hearts out! SLPS is an extra large space by all means where you can turn your wedding into a concert. With high ceilings and a spacious ballroom everyone is surely bound to enjoy the music and dance the night away. This venue is the first choice on the Top 9 DFW Indian Wedding Venues because it was built a few years ago and majority of the events that happen here are Indian Weddings. Jatin & Tina were the first couple to be married at SLPS. We loved being their DJ & Lighting company. Host your celebrity style wedding here and enjoy the view from the floor-to-cieling windows. As a matter of fact, the ballroom is enormous and can fit all of your dream wedding ideas you would love to incorporate. Not to mention this is the largest structure on the Top 9 DFW Indian Wedding Venues list. Jennifer & Bino wanted great lighting and the perfect music to keep their friends and family on the dance floor all night. The ballroom of Union Station has amazing natural light and for this reason making the intererior decor stand out magnificently. This is definitely a space you can utilize to make your royal wedding come to life. Nina & Alex are a mixed couple and they really loved the fact that more than half of our DJ Riz Entertainment weddings are mixed weddings. Check out the lights and packed dance floor we had all night. A warm ambiance creates itself once all of the pieces to the puzzle are complete for your wedding at El Dorado Country Club. The venue, the couple, and the guests all come as one to make an unforgettable night to celebrate a joyous wedding occasion. Our team has an abundance of experience with Indian Weddings. We were not a part of this wedding but you can see the venue well in it. The Stonegate Mansion is a unique and beautiful Fort Worth event venue. They give you a destination wedding like feel without being really far from home. Check out Amber and Ryan's reception, which we were not a part of. Let the golfing greens and fountains be your backdrop for a fabulous wedding ceremony. All things considered, the staff at Gleneagles Country Club can turn your desires into the masterpiece you have been wanting. Check out Blair and Robert's reception, which we are not a part of. Whether you’re having an indoor or outdoor wedding, DMA surrounds you with art and sculptures you just can’t take your eyes off of. Check out this wedding here that we are not a part of. It's one of the few institutions in the world devoted to the exhibition, study, and preservation of modern sculpture. Additionally, Fahrin & Amirali's dream of a modern and chic wedding weekend came true here. Picture the sangeet night on the lower level, followed by an outdoor meal under the stars for the reception dinner coupled with a fun afterparty overlooking the garden. It was a pleasure being a part of their wedding. Let the greenery and the amazing atmosphere take you to another level for your wedding, where every picture can be a great moment. Nature's aroma really creates harmony hence making you never want to leave this venue. 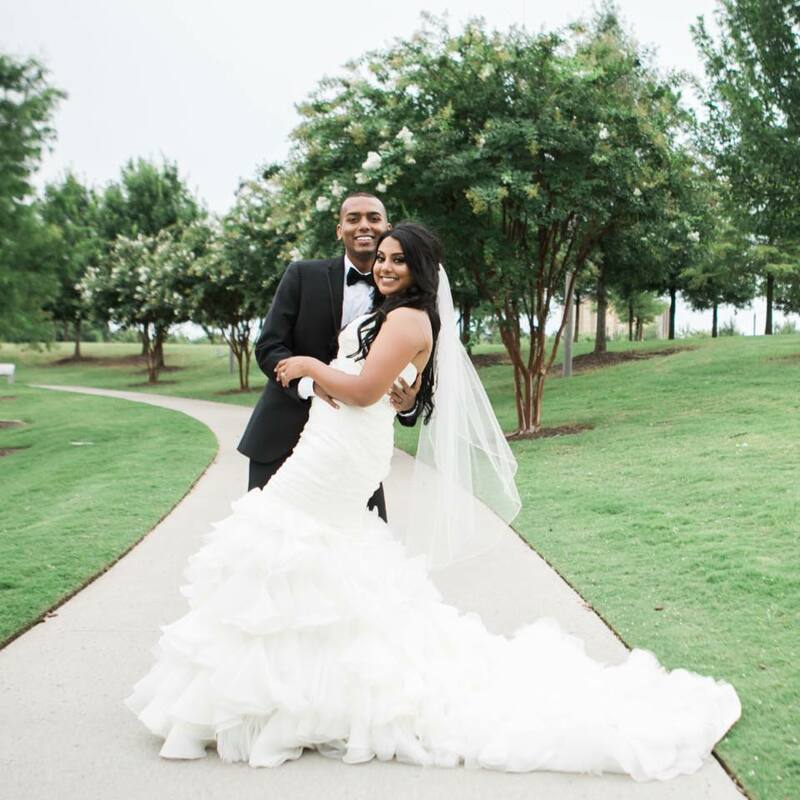 Sheethal & Joel came to us with their dream wedding ideas, consequently we made it come true. Energetic entrances, great lighting, packed dance floor, and an amazing Vegas style ending with confetti. The Top 9 DFW Indian Wedding Venues list is prolific with non-hotel venues unlike any other in the metroplex. Enjoy your special day in style and a weekend unmatched by any other. Your wedding is the happiest moment in your life therefore choose a venue you love and the right vendors that will help make your special moment a time you’ll never forget. 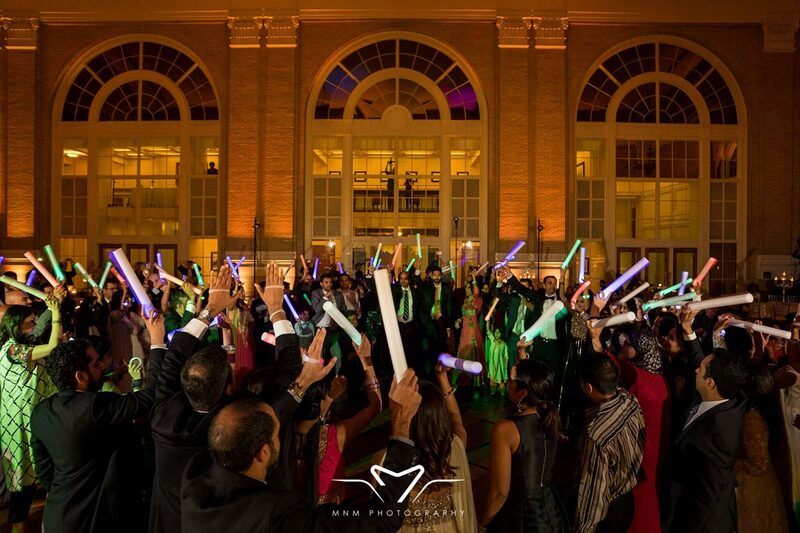 As a result of our over 23 years of expereince bringing joy to thousands of couples, the DJ Riz Entertainment team performs at all of these Top 9 DFW Indian Wedding Venues and can ensure you will have the time of your lives. Given these points, if you would like to talk about which venue we think is best for you or want more information on our services, contact us here.